Have you ever wanted to learn electronics? This course is for you! All beginners face the same problem: "I want to learn electronics, but how do I get started?" Traditional electronic kits provide cool circuits, but little to no explanation on how it all works. Pirates Electronics is on a mission to teach the world electronics and empower hobbyists and creators to build the technology of tomorrow. We explain wire by wire how it all fits together, and how each component is contributing to the circuit. Do you want to build a sound detector? An alarm? A radio-emitter? An autopilot system for drones? 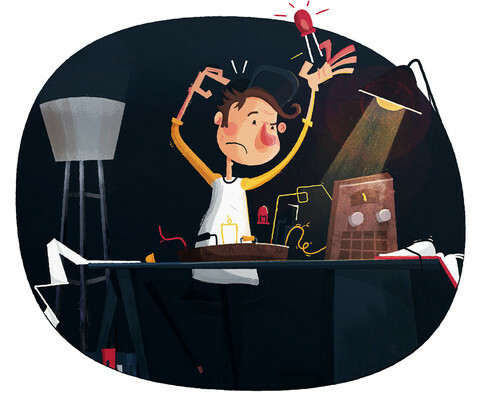 All these cool projects starts with learning the basics of electronics and experimenting. Made specifically for complete beginners, this course covers all the basics to be confident with electronics and start building your own circuits. More importantly, we focus on giving wire by wire explanation on how everything works, from getting a LED to light to integrated circuits. 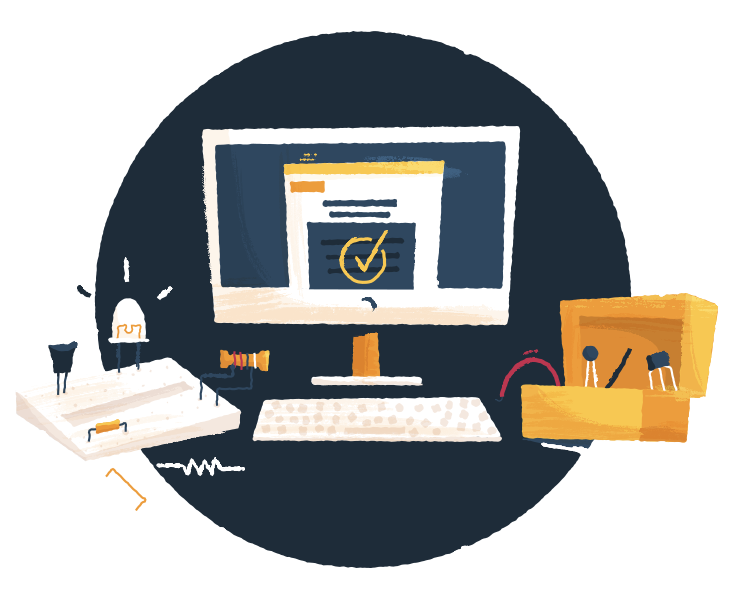 We want you to learn electronics the right way: enjoy full access to our online lessons with state-of-the-art diagrams and explanations. Accessible from any device, our lessons are constantly improved in real time. We are also adding a forum section for each question, where you can share your difficulties - and successes - with other users. You can even upload photos to troubleshoot your circuits with the help of other students. The course includes over 300 lessons over 14 chapters, easily accessible at any time on the left end side. Each lesson includes a clear diagram/schematic with explanations. Under each explanation, access a discussion board where you can ask questions to other users or the Pirates Electronics Team itself! You can even share pictures, so other users can help you troubleshoot your circuit. The course also covers more advanced topics such as chips and LED display. From getting a simple LED to flash to create a full light detector alarm, you will learn all the basics of electronics. Throughout the course, you will learn how to use resistors, transistors, capacitors, pushbuttons, LED display and chips! What electronic components do I need? To progress along the course, you can purchase All the listed components below at any electronic retailer or simply online. We all started in front of a breadboard, trying to figure out how to get a LED to light up with the right resistor, or inserting a transistor the right way! After going back and forth over the internet, checking out dozens of forums and specialised websites, it quickly came clear that learning electronics wasn’t going to be an easy task. Nobody seems to be willing to explain all the questions popping in our heads. Simply copying diagrams without understanding them wasn’t going to cut it. Pirates Electronics began because of the frustration of finding high-quality and easy-to-access lessons on electronics online. We ourselves faced the problem that most beginners encounter: we wanted to understand electronics so we can build our own circuits, not just blindly copy existing ones. Fast forward February 2015 where we launched our Kickstarter campaign. The campaign has been a huge success, raising over $35,000 with the help of 461 backers. We now run this course to help others discover and learn about electronics. 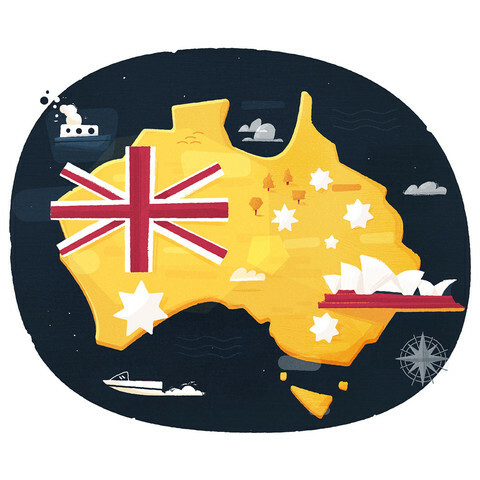 By the way, we are based in the beautiful city of Sydney, Australia. When we are not riding on the back of kangaroos (just kidding! ), we love to build cool electronic projects, like robots and drones. For the past 2 years i've been strugling with learning the basics of electronics. As a developer I wanted to take adventage of the new breed of DIY boards (like Raspberry Pi or Arduino) but not understanding how electronics works and how to connect physical boards and connectors always stopped me. I got a glimpse of Pirates Electronics on Kickstarter and knew that was the course for me. The course is perfectly paced and gets you up and running in seconds. So, if you want to learn electronics this is the course for you! Learning electronics has been one of my New Year Resolutions for numerous years, I have tried numerous time but never got particularly far. However this course has changed everything! I am learning loads and enjoying every second of it. I have really been enjoying using this course. The projects are ramped up well, so that what you learn in one lesson carries to the next. The instructors are good and answering questions quickly. I'm about 60% done, and looking forward to the rest. While I've just started with course I'm quite sure I'll learn a lot as I've already with the first set of lessons just based on resistor. I really believe this is a great tool to discover and understand electronics. This has been a really fun and engaging way to learn about about electronics in a way that hasn't bored me rigid with theory. I've never been a maths and science person so have steered away from too many formulas earlier in my life. Now in my 40's my interests have changed and although I don't have a huge amount of free time I can easily make a small amount of time each week to tackle some more lessons. The lessons are short, practical, well explained with diagrams and have you instantly getting results. All you have to do is log in and you are away. The Beginner Course is everything I have looked for in the past year. The internet provides plenty of resources, but not enough direction. With a simple interface and friendly explanations, Pirates Electronics has inspired me to create my own mini projects. I can’t wait to see what’s next! The Pirates Electronics Kit has been designed for kids and adults altogether. Instructions are simple enough to follow for kids aged 10 and over, yet challenging enough for adults to learn electronics. The course includes 13 chapters covering 300 pages of lessons. This course is usually completed in a matter of weeks. What if I get stuck at a lesson? There is a comment section for each of our lesson: our team (or another student) is ready to answer all your questions! Better, you can even upload a photo of your circuit, so we can help you trouble-shoot it! What will I build with this course?